VOXBONE - Are Global Numbers on the Verge of Disappearing? Q: How do you view the growth of data traffic and what issues do you see? A: Triggered by the growing number of Internet connections, monthly Internet protocol (IP) traffic has skyrocketed from the modest 1 petabyte two decades ago, to an estimated 58,000 petabytes in 2013. Just as a comparison, in 2013 IP traffic grew by some 14,000 petabytes, the equivalent of twice the global cumulated traffic over the whole first decade of the Internet, from 1994 to 2003. These tremendous volumes are driven by growth in the number of connected people and devices, and the growing availability of abundant, diversified, and in most cases free online content and services. By the end of 2013, the estimated number of applications downloaded over all types of mobile devices (smartphones, tablets, various consoles, etc.) surpassed 100 billion. Importantly, the large streams of data generated by the over-the-top players (or the content providers like Google, YouTube and Facebook), are not only growing at a spectacular rate, but are also changing in nature. While back in 2011, two-thirds of overall IP traffic was still traditional, the trend is being inverted and cloud-based traffic is expected to represent not less than two thirds of overall flows in 2016. All those trends, from the growth of IP traffic to the growth of the traffic in the cloud to the growth in applications take up, have all bearings to a host of new issues for both consumers and regulators, going across national borders and challenging existing regulatory frameworks. To mention just a few – privacy and data protection, saturation of mobile networks and content regulation all deserve regulatory attention and adequate response to continue to enable innovation and growth in online services while protecting consumers, both businesses and individuals. Q: Are we at a stage with cloud where we need more regulation? A: Cloud computing is part of a dynamic digital environment and effective regulation can serve as a facilitator to foster the uptake of cloud-based services. Instead of introducing more regulation, however, it would be appropriate to lean towards a light-touch approach and focus on targeted regulation. Targeting specific issues that arise as part of its organic growth, such as interoperability, contractual issues, data protection and portability, will help reap the full potential of cloud computing. To leverage on the synergies offered by cloud computing across the board, there is a growing need for regulatory co-operation and transparency in order to harmonize jurisdictions and provide clear and quick reactions to transborder problems. For instance, developing standards to ensure interoperability helps eliminate unnecessary restrictions on the flow of data; encouraging data portability not only avoids technical incompatibility and directly benefits consumers but also facilitates market liberalization, enabling a more competitive environment. Q: With more cloud applications being used are we getting to a stage of confused ownership of what is in the cloud? A: The fact that we went from having 89 countries with adopted privacy and data protection laws in 2012 to 99 countries in 2013 reflects the growth of uncertainties about data ownership but also that this issue is being placed high on the political agenda in a growing number of jurisdictions. Another symptom of this uncertainty is the increased numbers of privacy enhancing technologies such as encryption models, private authentication protocols and anonymization techniques. These data protection issues arise in the public domain of the cloud environment, where users are less able to affect the technical structure that forms the cloud service. The need for harmonization of international data protection policies is a pressing issue as the transborder nature of cloud services creates uncertainties about applicable law and whether the use of these services can be carried out in a compliant manner. Privacy problems, however, could be alleviated with contractual transparency between the communication service provider, the cloud service provider and the end user. Self-regulation by the cloud service providers is also encouraged for it facilitates constant reaction to technology progression and provides strong incentives for compliance once it can foster the promotion of best practices. Q: How can cloud be used to help bridge the digital divide? A: Cloud computing offers a new economic model for ICTs by creating new ways to invest and operate IT resources. With cloud-based services, companies are potentially able to decrease costs once IT resources are administered by the cloud computing provider. Fewer dedicated ICT personnel required along with less IT infrastructure investment increases the ease of creating business. These opportunities for economies of scale constitute a considerable incentive for, for example, ICT development in Africa. The reduced risk attracts more business opportunities, fostering economic growth and helping bridge the digital divide. Another example is the availability of online services through the cloud computing: it frees companies and individual users from the need to acquire hardware and software by paying instead for the resources used, considerably decreasing the fixed costs. Moreover, the scalability of cloud services enables increased productivity and improved responsiveness to changing customer demands and market conditions. Q: Are there any good cases of this? A: Data centres are the very bedrock of cloud computing and Africa is now a home to many of these (in 2011 there were 112 data centres within the African continent, according to Balancing-Act Africa, a consultancy). International companies see data centres as an attractive low-cost opportunity, which consequently reduces service access costs for locals (because physical proximity engenders savings in bandwidth budgets). Despite the development of international data transmission links between Africa and the rest of the world, the costs associated with the bandwidth necessary for transferring “African data” to and from cloud computing resources located outside Africa (whether for storage or for data consultation purposes) are so high that it is indeed more advantageous to construct data storage centres in Africa. The construction of these data centres enables the African continent to benefit from cloud computing, not only being a business opportunity but also reducing the cost for local use, thus bridging the digital divide. From the feedback received from the players involved in the development of the African ICT sector in a survey administered by ITU in 2012, it is clear that the market is active and that African players are already engaged in the cloud computing adventure. Countries must now align their regulations with international market requirements and sufficiently train human resources to enable Africa to fully seize this opportunity. Q: For years ITU has been moving to close the digital divide: where are we and are we looking forward positively? A: Recent ITU analysis points to a significant divide between the developed and developing world in terms of the adoption, take up and use of ICTs. But the digital divide is also shifting over time and is most evident for more recent technologies, such as broadband and 3G mobile. Concretely, the gap today points to the considerable differences that exist between the developed and developing world in terms of Internet users and fixed (wired)-broadband and wireless broadband subscriptions. In many developing countries, broadband access remains very limited, and still today some countries have not yet launched 3G high-speed mobile broadband networks, effectively limiting the potential to bring more people online. On a positive note, however, it is worth noting that those indicators are growing twice faster in developing countries. This is an encouraging development, suggesting that developing countries are catching up. Many factors account for the persisting digital divide. For instance, while developed countries have reached very high levels of literacy and school enrolment, developing countries need to ensure that all citizens are equipped with basic skills to enable them to participate in the information society. This is particularly – and increasingly – important as infrastructure barriers are being overcome and ICTs are made available to an increasingly large proportion of the world’s population. Q: Where have the most gains been? A: In developing countries, mobile telephony has been central in making ICT services available to large sections of the population. According to ITU data, at the end of 2013 the number of mobile-cellular subscriptions approaches 7 billion and mobile broadband is the most dynamic market, with 2.1 billion subscriptions globally. This unprecedented reach of mobile technologies could provide a powerful channel for reaching various development goals. Nevertheless, much remains to be done to increase the penetration of mobile services in many developing countries, particularly in rural areas, as well as their affordability, and in particular this of mobile broadband services. Overall, affordable, ubiquitous broadband networks are today as critical to social and economic prosperity as networks like transport, water and power. Broadband has become a key priority both on the political and the development agenda of many countries across all regions as its transformative power of enabler for economic and social growth makes it an essential tool for accelerating sustainable development. Broadband infrastructure, applications and services have become critical to virtually all areas of life, from receiving training and education to healthcare to making business. The power of broadband contributes to improving people’s lives in many different ways, through more efficient delivery of public services, job creation and improved environmental management. Broadband is seen increasingly as an essential tool for empowering people, creating an environment that nurtures the technological and service innovation, and triggering positive change in business processes as well as in society as a whole. Q: How in the future is the ITU going to work to provide 1st world solutions to these areas? A: Mobile communications, and especially mobile broadband, have great potential which is still to be leveraged for development and new opportunities can be grasped to improve health, education, agriculture, trade and commerce. This is why, in 2012 in Dubai, ITU launched two new initiatives aimed at achieving sustainable development by harnessing smart ICTs, in particular mobile broadband. Mobile devices for m-Powering Development are seen both as “empowering” users as well as “powering” development and economic activity. Q: Are there underused technologies such as satellite than can provide a quicker solution? 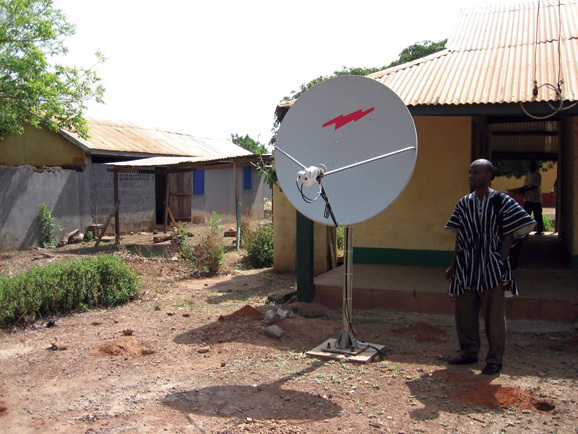 A: Satellite telecommunications technology has the potential to accelerate the availability of high-speed Internet services in developing countries, including least-developed countries and land-locked and island nations. Under certain conditions, satellite may prove an attractive option for businesses and government offices that cannot access other communications services, often due to their remote or rural location. Satellite broadband, in particular, enables new applications that provide services to mobile sites – for example, ships, trains, planes and vehicles, in addition to fixed locations. Once operational, satellite represents instant infrastructure, independent of terrain or distance. Satellite connectivity can provide solutions in various ways – backhaul and last mile via wireless, community telecentres, or directly to dishes at home. Some of the inherent limitations of satellite systems (and especially those suitable for broadband services), such as their high upfront cost, some latency issues and issues related to the dependence from atmospheric conditions, however, practically offset the wide adoption of broadband satellite services beyond remote and rural areas.